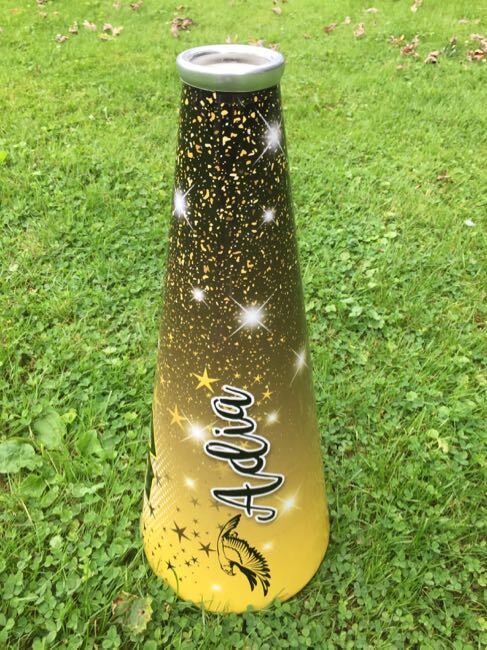 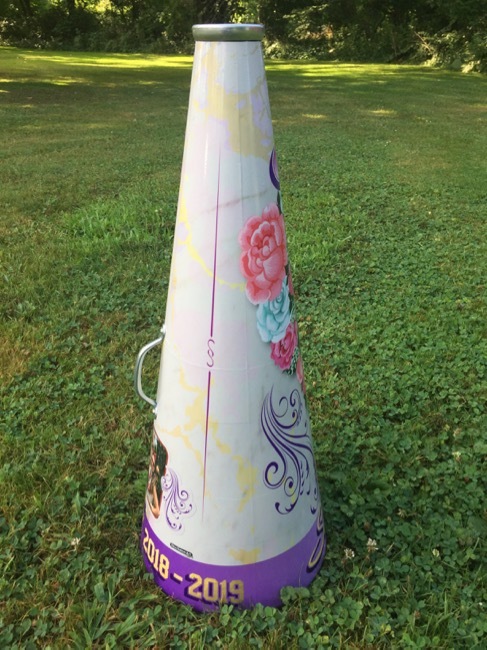 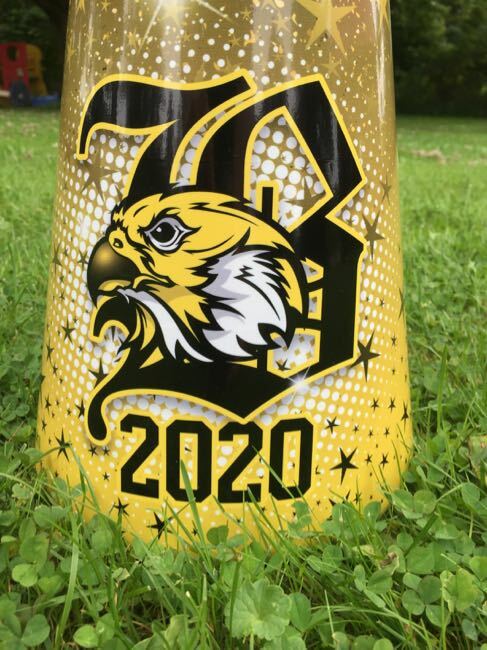 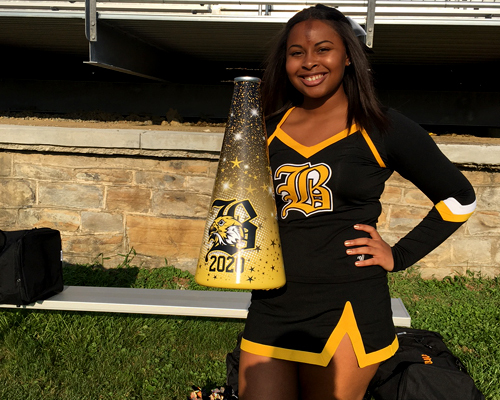 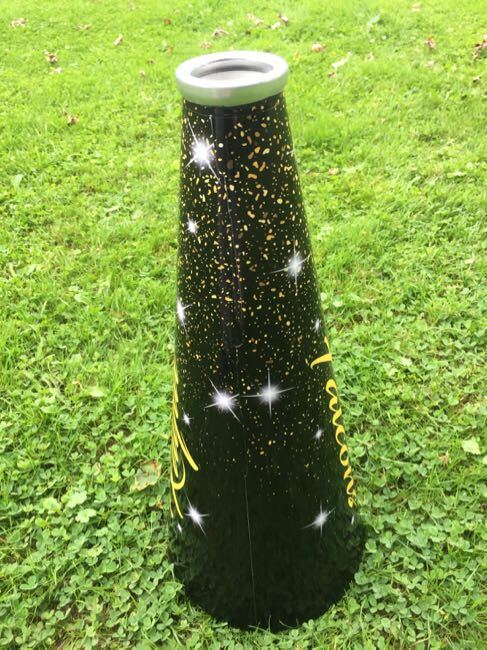 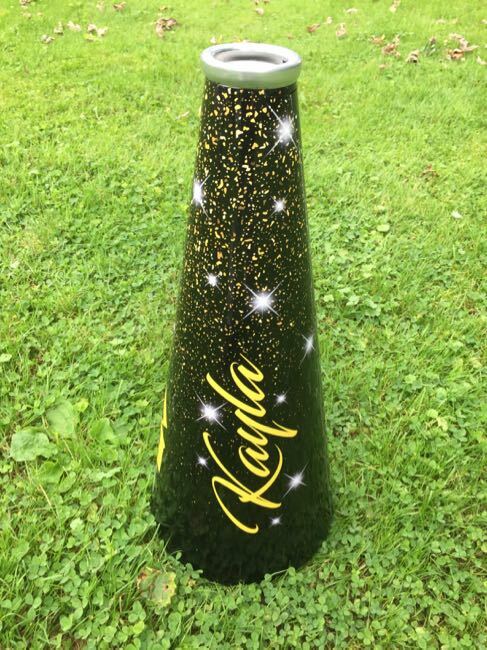 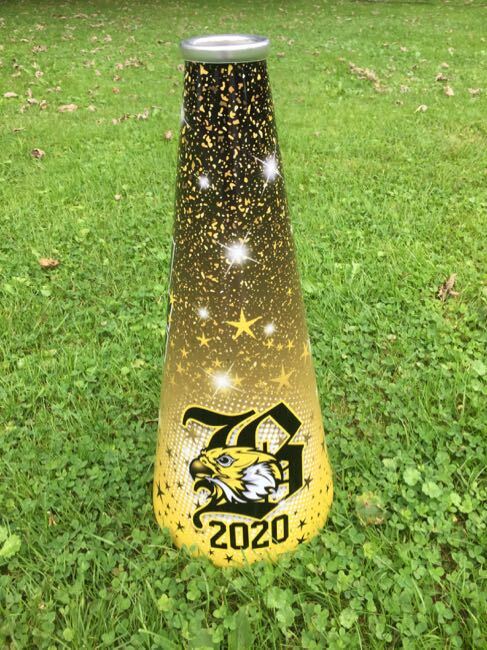 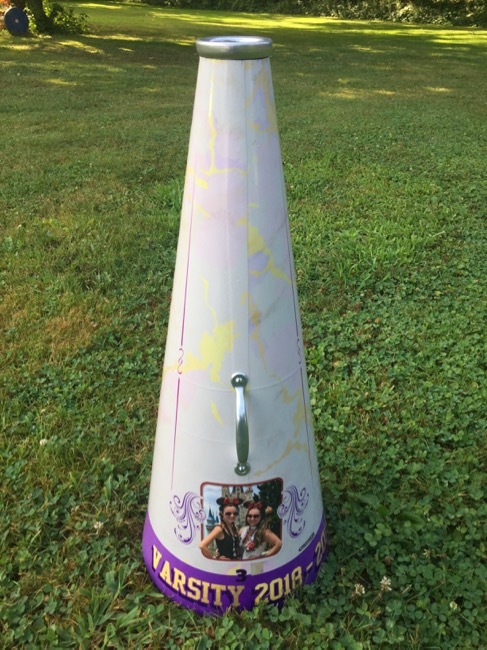 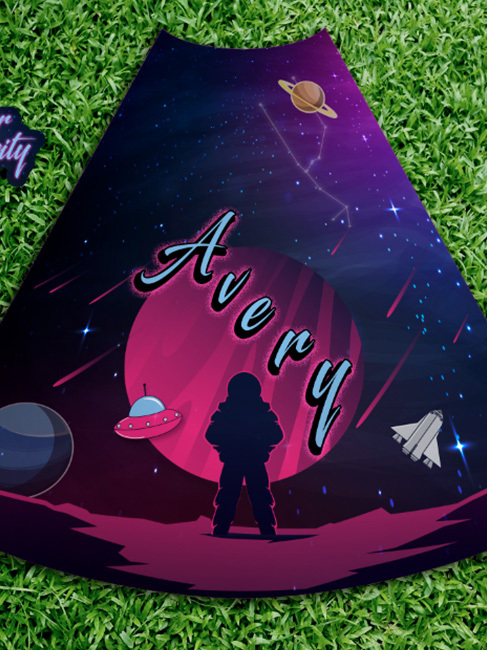 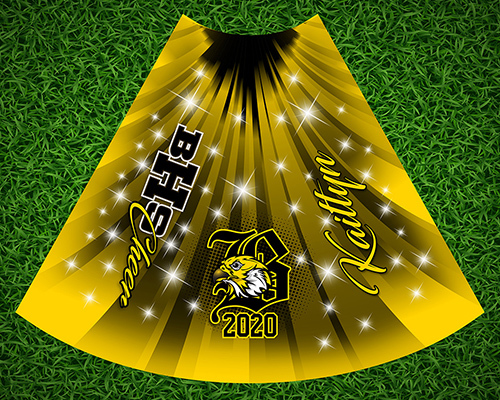 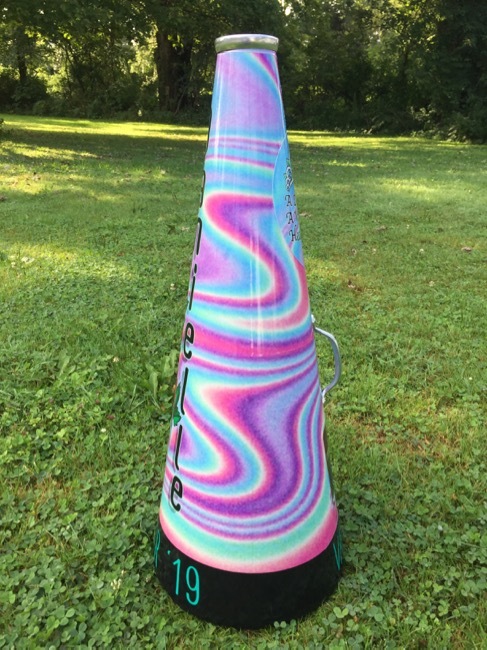 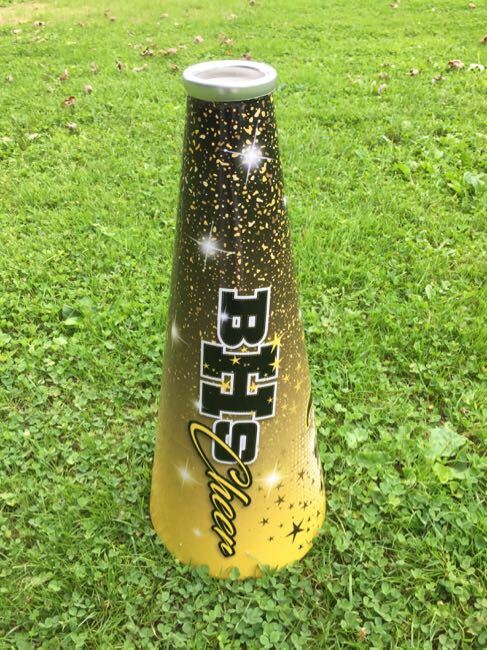 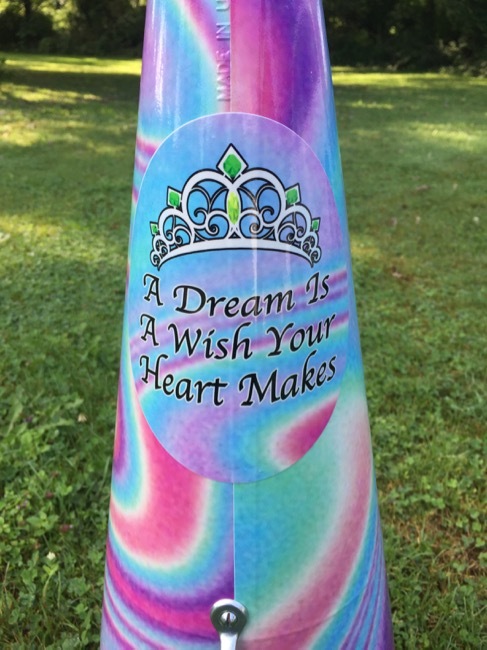 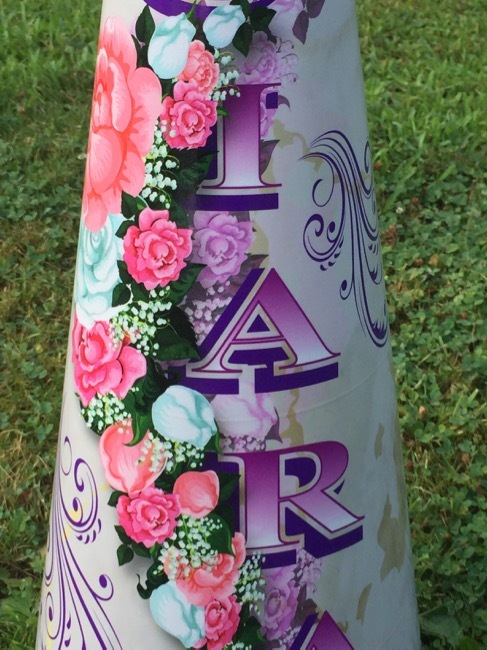 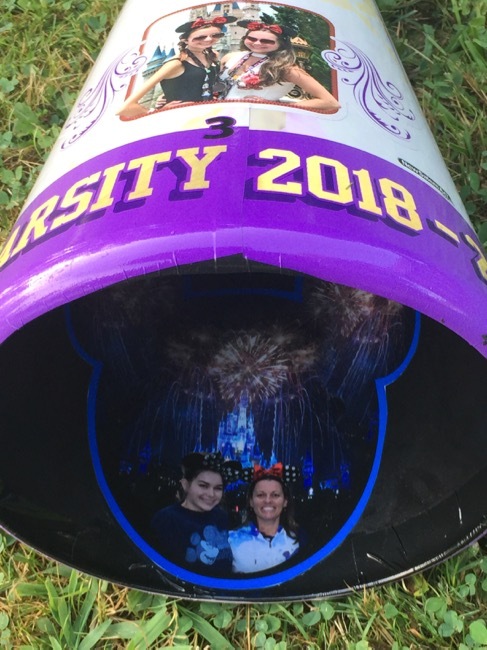 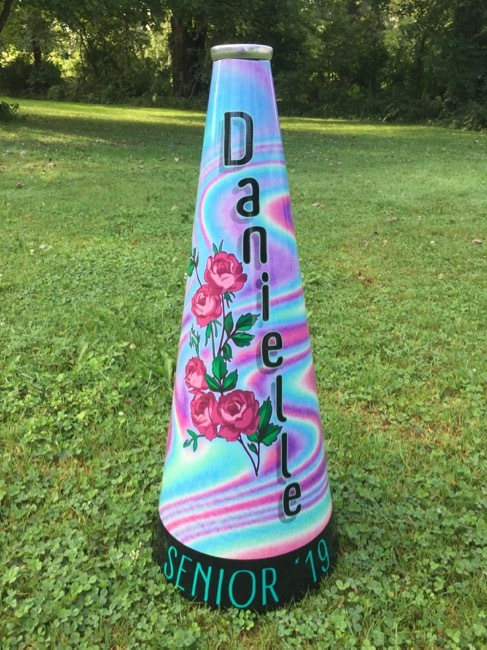 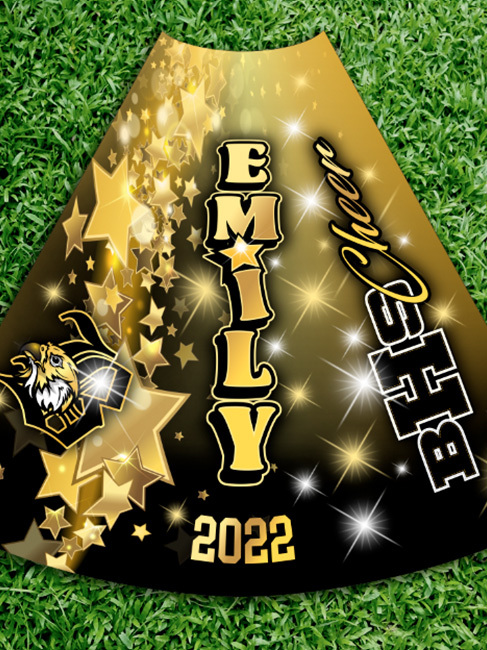 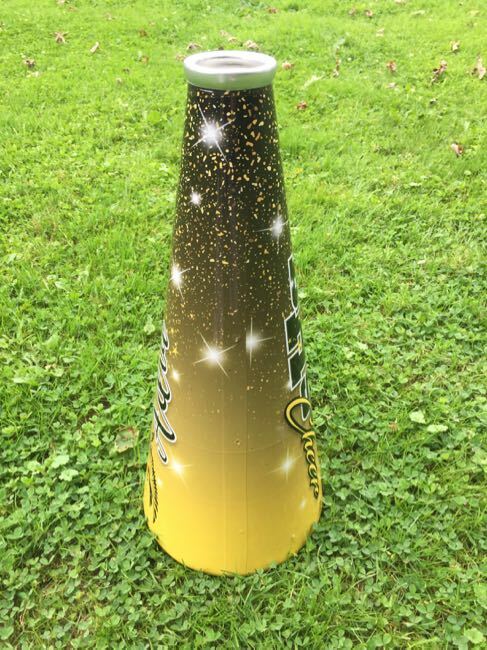 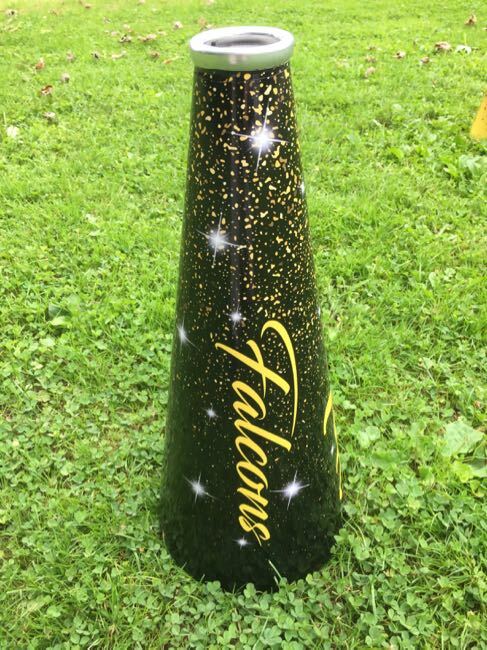 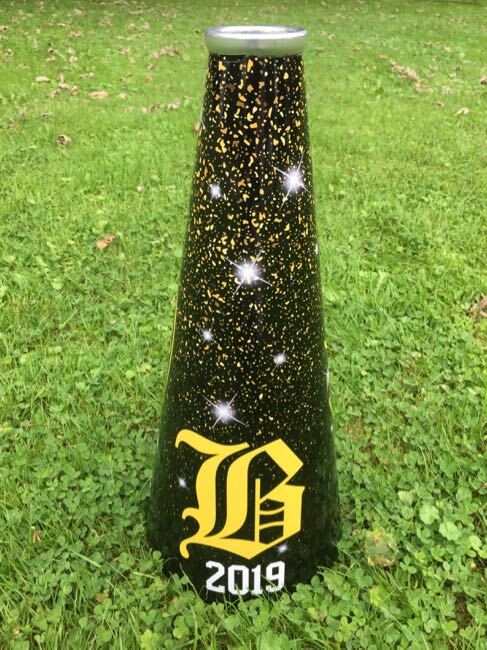 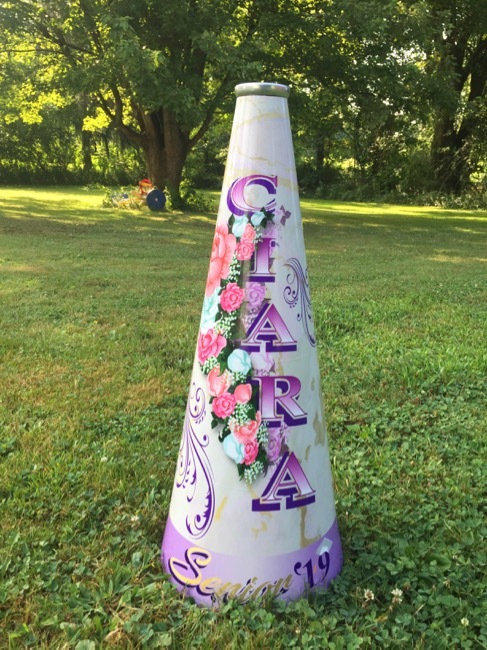 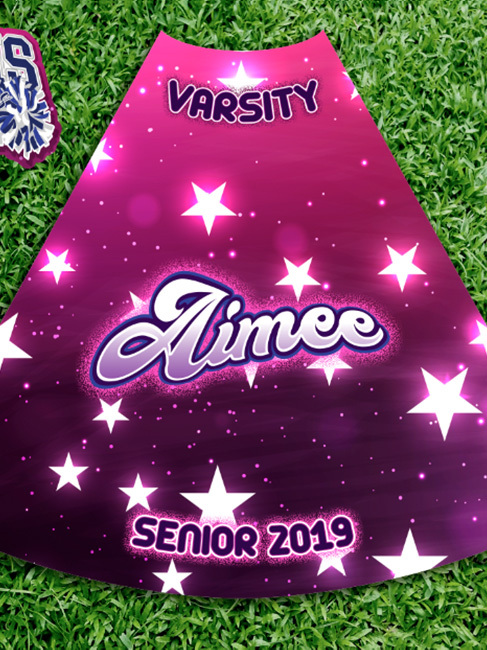 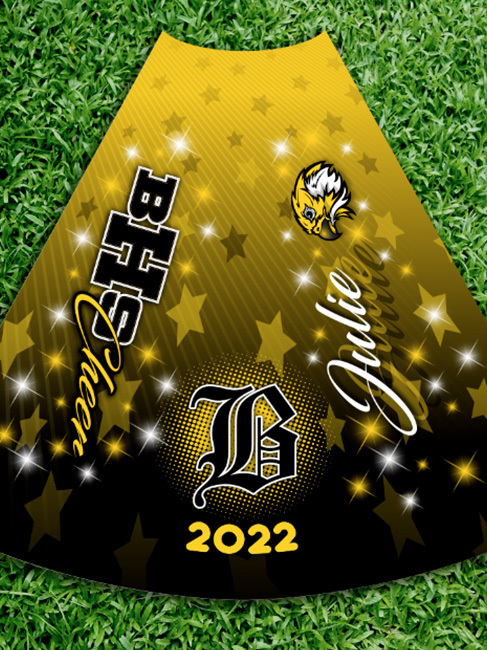 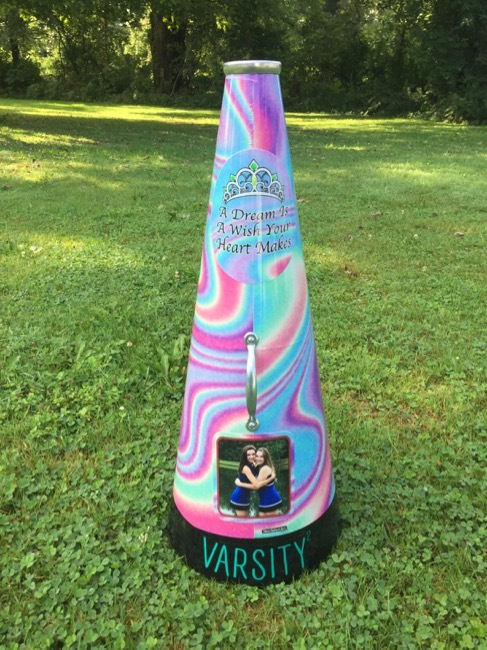 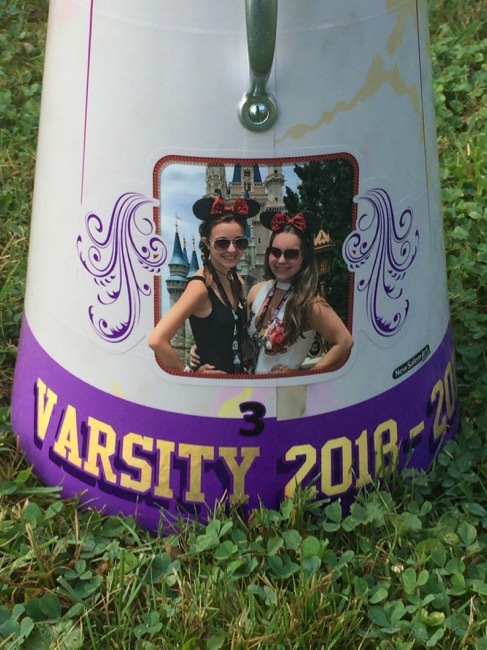 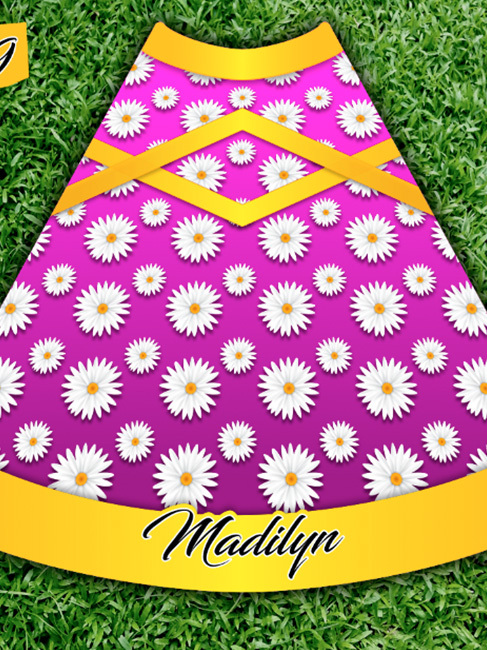 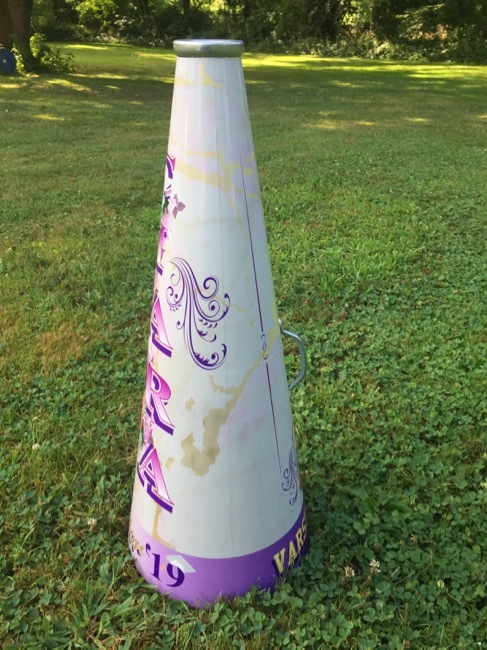 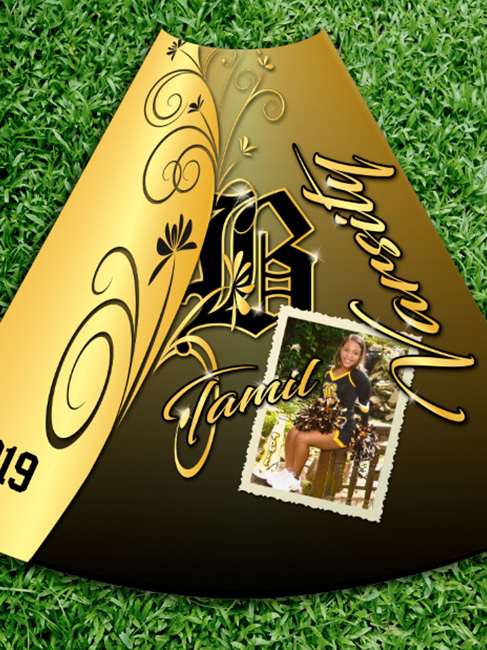 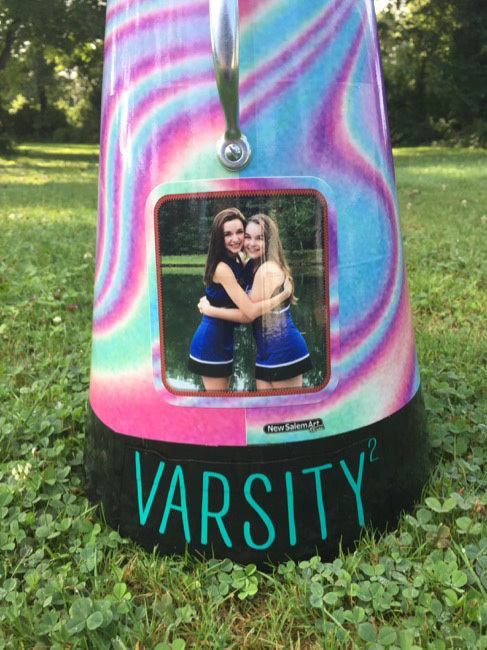 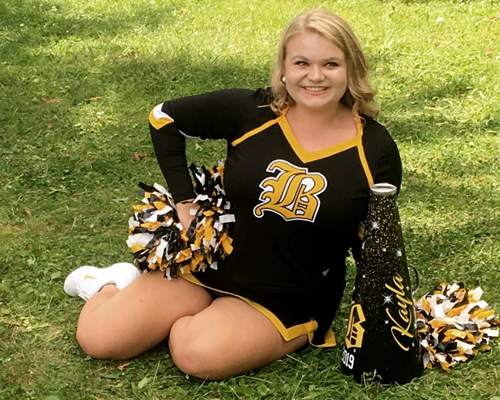 Due to today's "paint-resistant" plastic composite megaphones we have switched from "Hand-Painting" to "wrapping" our custom designed megaphones with Full Color, UV CLEAR Laminated Vinyl Prints made exclusively for all surfaces. 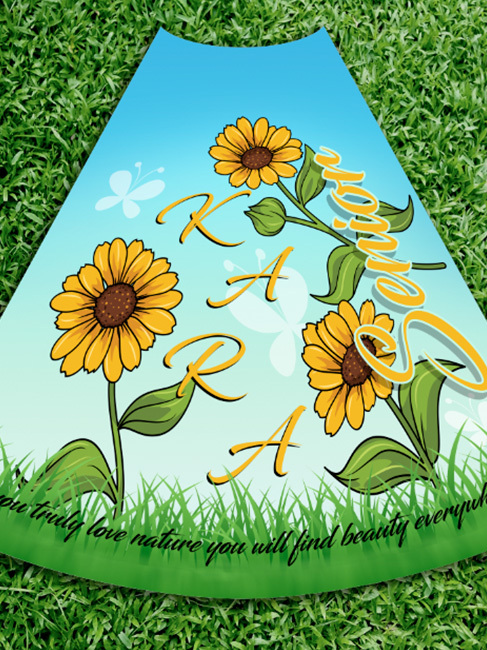 As opposed to "paint" or Airbrush, this method allows for even the most complex graphics to be achieved at no extra costs and is highly "scratch-resistant" for years of use and safe keeping. 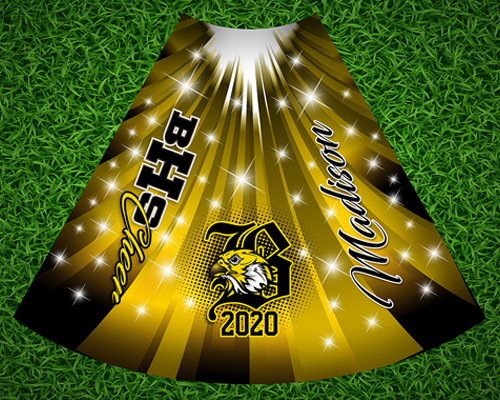 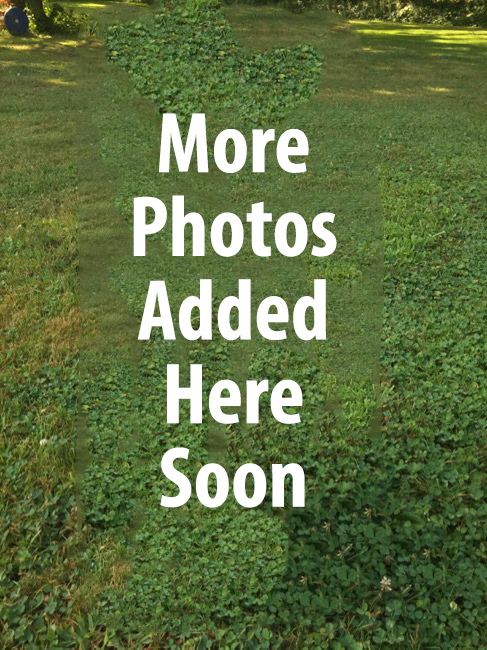 We prefer you preview and/or download our Megaphone Layout Graphic to best convey your information to our art dept. 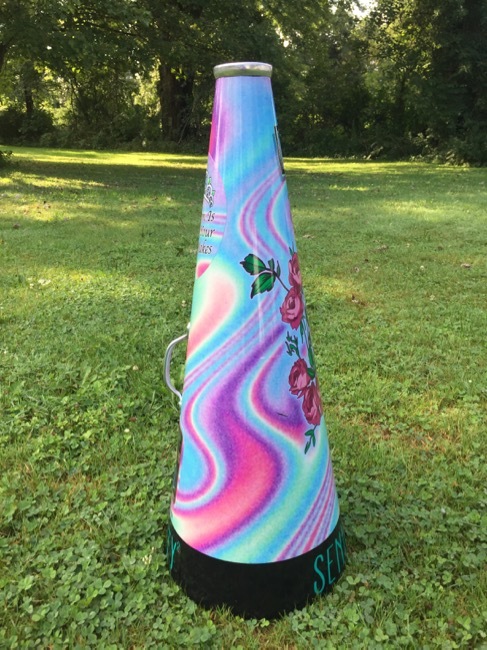 New Salem Art & Sign Co.